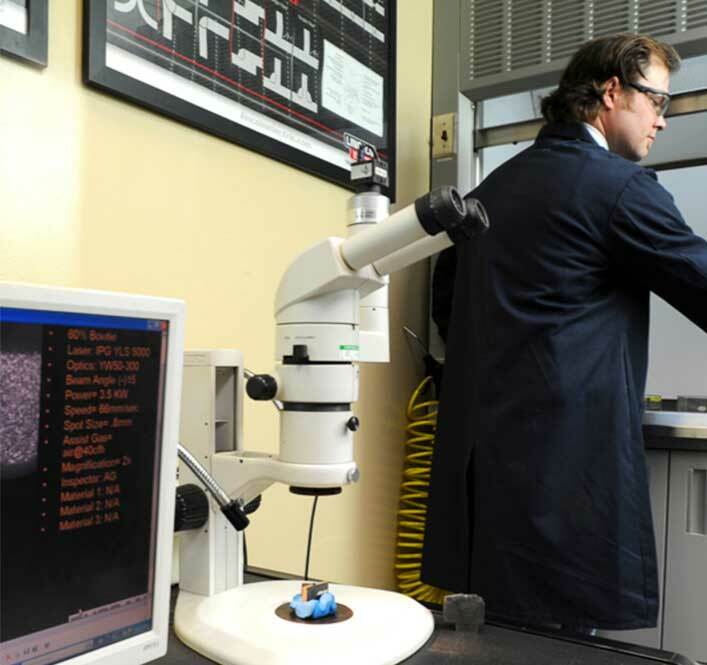 Duggan Manufacturing relies heavily upon our inspection room to provide accurate measurement data so that we can produce the highest quality parts possible for our customers. Duggan uses the newest technology to increase efficiency and accuracy in acquiring measurement data. Our highly skilled inspectors have years of knowledge and experience behind them that allows us to go from prototype to production quicker and more accurately than our competitors. Their experience with GD&T and efficiencies in data collection methodologies allows us to keep cost down while maintaining or exceeding customers’ expectations. 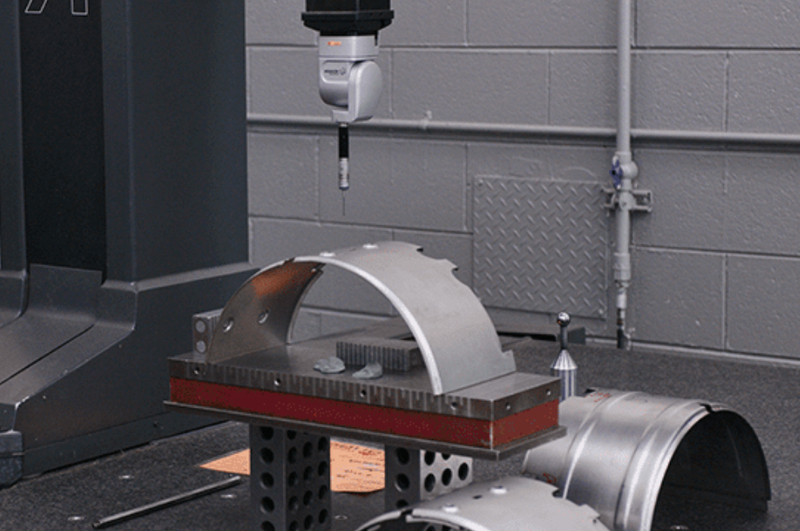 The most common inspection equipment used today is the CMM or (Coordinate Measuring Machine). Our machines are annually calibrated and are accurate to 5 microns (0.005mm) (0.0002”) they are D.C.C. or (Direct Computer Control) meaning they are automated and programmable to check as many points or parts needed. 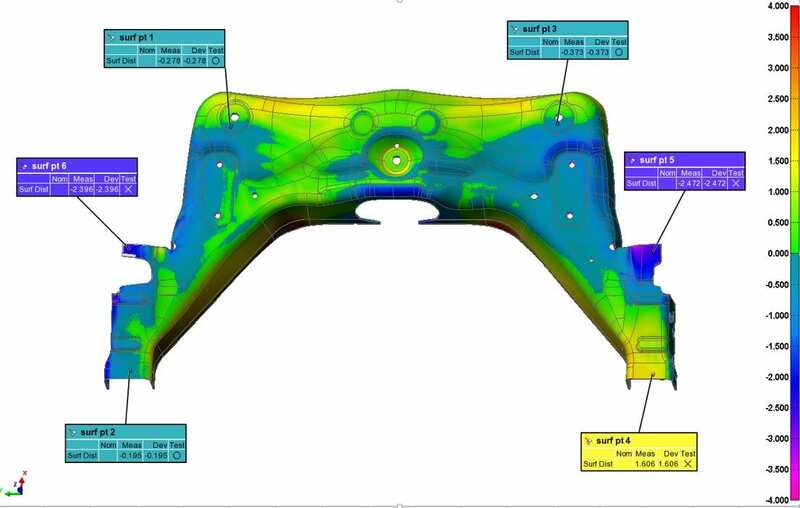 They can be programmed to CAD or to print, roadmaps are created to insure efficiency in comparison of variable data. Duggan utilizes the most current technology to rapidly move prototype into production. The FARO Blue Light Scanner can provide a full color representation “Heat Map” that is accurate within 20 microns (0.02mm) or (0.00079”) and repeatable to 7 microns (0.007mm) or (0.00027”). 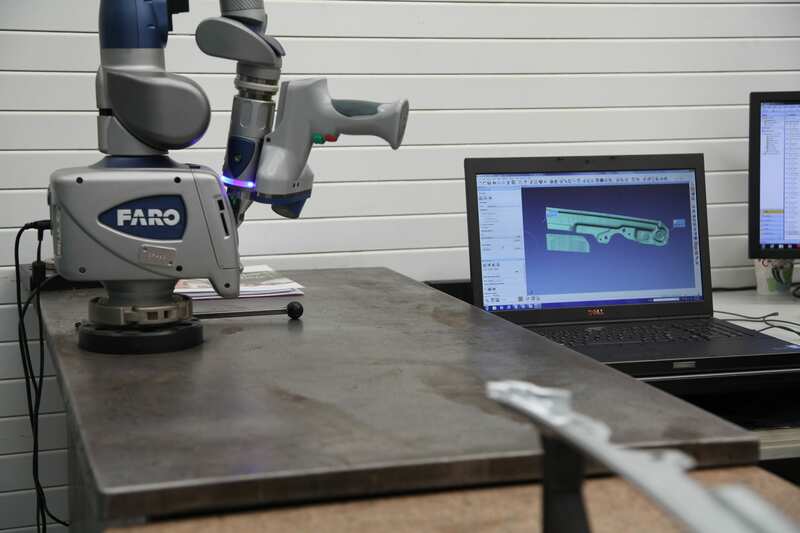 It’s ability to rapidly check components, assemblies and fixtures makes the Blue Light Scanner the tool of choice. Utilizing the POLYWORKS Software enables us to provide a wide range of report options that includes all required variable data, heat map, trend charts, capability and can export data into excel or word formats so we can provide the information on your form or spreadsheet. Duggan Manufacturing offers in house metallurgy services. Our A2LA accredited laboratory is where we certify all of our welds using microscopic cut and etch technology. Simply put, a weld is cut across the joint and then polished. Nitric Acid is added to the surface, which makes the weld and parent metal appear dissimilar to each other. This sample can then be placed under a microscope and the various parts of the weld can be measured to customer specifications. Our met lab also has an electromagnetic tension and compression tester. We perform in house pull tests and can test yield and tensile on different types of materials. 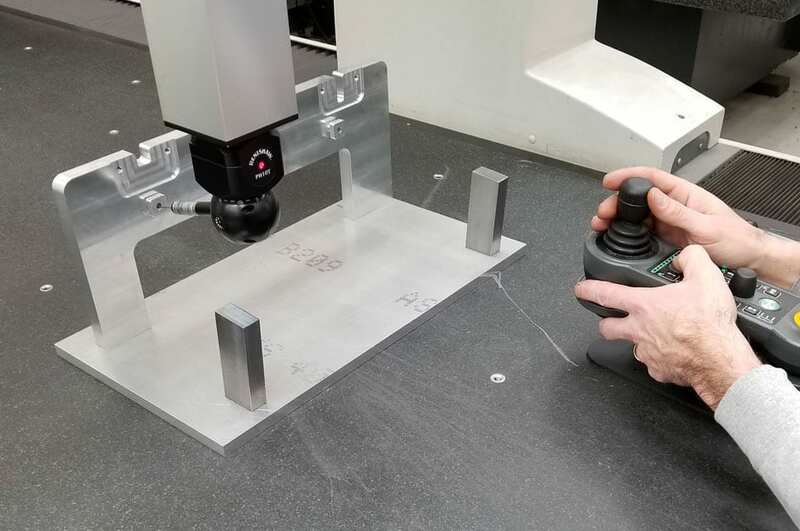 This piece of equipment and technology is a must and is required in order to accurately hot stamp parts and verify that the tensile and yield are within spec on the finished product.